Back-to-school dilemma: Why do bullies bully? When New Jersey kids return to school this week, the bullies among them may be in for a surprise. Playground aggression will no longer get them a mere slap on the wrist in the principal’s office. Instead, school bullies may well find themselves face-to-face with the police, the consequence of an anonymous classmate’s tip to an anti-bullying hotline. New Jersey’s new Anti-Bullying Bill of Rights aims to better police school bullying, both in the actual school buildings and in cyberspace. 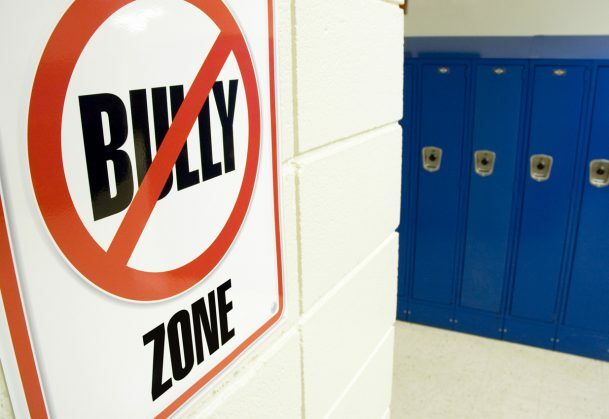 The Jersey statute is probably the most far-reaching anti-bullying measure anywhere in the country, but it reflects growing national concern among educators and law enforcement officials and parents that this dangerous social problem is out of control. Educators and mental health experts have tried mightily over the years to solve the problem of bullying, and also to better understand the roots of childhood and adolescent aggression. Many psychologists believe that the root problem is the school bully’s fragile self-esteem, and many interventions now aim to reduce violence by boosting self-image. But some psychological scientists are beginning to challenge that wisdom. They argue that bullies do not suffer from low self-esteem; indeed, that their aggression results from their grandiose, inflated and narcissistic self-assessments. That means there is no scientific justification for the trendy esteem-boosting interventions. Researcher Sander Thomaes of Utrecht University in the Netherlands and his colleagues believe that bullying is the product of “normal narcissism.” That is, bullies may not have a diagnosable personality disorder, but they do display a paradoxical mix of bloated self-image and extreme emotional vulnerability. As a result of this toxic combo, narcissists engage in whatever strategies will protect their ego, including unprovoked aggression. At least that’s the theory. And if true, Thomaes and colleagues speculate, then a different kind of intervention just might work with schoolyard bullies: not ego boosting but ego buttressing. That may sound like semantic hair-splitting, but it’s not. Because bullies’ self-esteem is not low to begin with, they don’t need ego boosting. What they need is an affirmation of their overall sense of self—not just a giant ego but a multi-faceted self with various attributes and values and interests. The scientists decided to test this idea in a real world study. They recruited a large sample of sixth-and seventh-graders, both boys and girls, and screened them for narcissism and self-esteem. They also had their classmates rate each of them for aggression. Then the researchers randomly assigned the teenagers to two groups. One group wrote a short essay on two or three of their core values and why they were important to them; these values might be religious values, or athletic talent or sense of humor, that kind of thing. The others also wrote a short essay on values, but specifically on values they did not hold dear. The idea was that the kids who wrote about important aspects of themselves would emerge with a greater sense of being complete, complex people—and that this self-concept would diminish their need to act out. And that’s what the psychologists found. As reported a while back in the journal Psychological Science, when they again measured aggression some time later, those with a greater sense of wholeness were indeed less aggressive toward their classmates. This is the first evidence that “buttressing” self-esteem can reduce narcissistic violence. The effect only lasted a week, which makes essay writing an unlikely form of intervention for the long-term problem of bullying. Plus it reduced but did not entirely eliminate aggression. Even so, it does undermine the case for the ego “boosting” interventions now in vogue—and offers an avenue for intervention before it’s necessary to call in the police. Wray Herbert’s book, On Second Thought, will soon be out in paperback. Excerpts from his two blogs—“Full Frontal Psychology” and “We’re Only Human”—appear regularly in The Huffington Post and in Scientific American Mind. News > Full Frontal Psychology > Back-to-school dilemma: Why do bullies bully?